What impact are we having on global warming? Does a more sustainable way of living hold the answer to climate change and the other environmental problems facing our planet? How We’re F***ing Up Our Planet charts the dramatic explosion of human population and consumption. Using the latest scientific evidence and simple graphics, this wide-ranging and accessible book reveals how our growing use of energy, our increasing demand for food and water, and the rapid expansion of our cities are affecting the planet. It examines the threats and pressures facing the natural world, including Earth’s climate, oceans, and biodiversity. 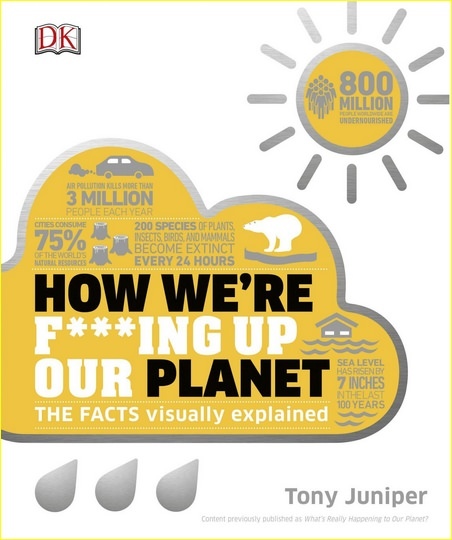 As well as explaining global patterns and showing how they are connected, How We’re F***ing Up Our Planet looks into the future to explore the consequences of what we are doing. Importantly, it also looks at how we can reverse the current trends-for example, by adopting clean, low-carbon technologies-and live more sustainably into the future.